Intranet site prompt you for a username and password. It doesn’t remember password. 1. In Internet Explorer menu toolbar click ‘Tools’ and then click ‘Internet Options’. 4. 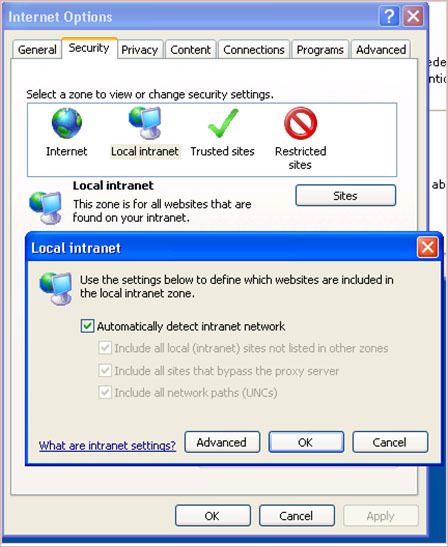 Type the URL of the Intranet site that you want to trust. Notice that the URL must not contain dons ‘.’ (example: http://Intranet). 5. Click the ‘Add’ button, and then click OK.